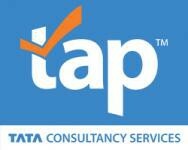 Tata Consultancy Services (TCS) is an IT services, consulting and business solutions organization that delivers real results to global business, ensuring a level of certainty no other firm can match.TCS offers a consulting-led, integrated portfolio of IT and IT-enabled infrastructure, engineering and assurance services. This is delivered through its unique Global Network Delivery Model , recognized as the benchmark of excellence in software development. A part of the Tata Group, India’s largest industrial conglomerate, TCS has a global footprint and is listed on the National Stock Exchange and Bombay Stock Exchange in India. TAP™ is TCS’ proprietary cloud platform for procure-to-pay functions. It enables global organizations’ to manage suppliers, contracts, catalogs, requisitions, purchase orders, invoices and payments. TAP™ brings digital levers with cloud, mobility, self-service, intelligent automation and embedded analytics. With pre-built integrations TAP™ complements ERPs and enables shared services organizations to work efficiently. TAP™ has consistently received strong positive feedback from various analyst’s including including being positioned as a “Strong Performer”in the Forrester Wave™ eProcurement, Q2 2017.